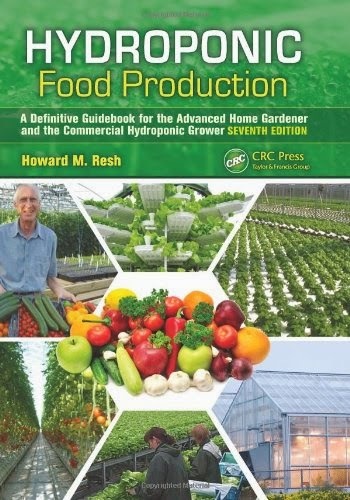 The Ins and Outs of Hydroponic Gardening ~ Hydroponics - Soil-less Gardening. Hydroponics simply means growing plants without soil. Food for the plants, which are called hydroponic nutrients, are dissolved in water and fed directly to the roots. The plants form smaller roots and grow in inert grow media. Hydroponic vegetables are healthy, vigorous, and consistently reliable. Hydroponic gardening is clean and extremely easy and requires very little effort. The word hydroponics comes from two Greek words, “hydro” meaning water and “ponics” meaning labor. The concept of gardening without soil, or hydroponics, has been around for thousands of years. Hydroponics is proven to have several advantages over soil gardening. The growth rate on a hydroponic plant is 30 to 50% faster than a soil plant grown under the same conditions. The yield of the plant is also greater. The extra oxygen in the hydroponic growing mediums helps to stimulate root growth. Plants with ample oxygen in the root system absorb nutrients faster. The hydroponic plant also requires very little energy to find and break down food. The plant then uses this saved energy to grow faster and to produce more fruit. Hydroponic plants also have fewer problems with bug infestations, disease, and funguses. Hydroponic gardening offers several benefits to the environment. Because of the constant reuse of the nutrient solutions, hydroponic gardening uses considerably less water than soil gardening. Fewer pesticides are used on hydroponic crops as well as they are not necessary. Since hydroponic gardening systems use no topsoil, topsoil erosion is not even an issue. Most of the principles that apply to soil fertilizers also apply to hydroponic fertilizers, or nutrient solutions. A hydroponic nutrient solution contains all of the elements that the plant would normally get from the soil. These nutrients can be purchased at a hydroponic supply store and come in liquid or powdered mixes. Like soil, hydroponic systems can be fertilized with organic or chemical nutrients. An organic hydroponic system is considerably more work to maintain. The organic compounds have a tendency to lock together and cause pumps blockage. Hydroponic systems are characterized as passive or active. An active hydroponic system actively moves the nutrient solution with a pump. Passive hydroponic systems rely on the capillary action of the growing medium or a wick. The nutrient solution is absorbed by the medium or the wick and passed along to the roots. Passive systems are usually too wet and do not supply enough oxygen to the root system to maximize growth rates. Hydroponic systems are also characterized as recovery or non-recovery. Recovery systems, or re-circulating systems, reuse the nutrient solution. Non-recovery systems apply the nutrient solution to the growing medium, but are not recovered. Most consumers question whether they should buy or build a hydroponic system. If the consumer has the mind of an engineer and dreams of building their own hydroponic system, they should consider buying one first. Buying a system, which does not cost a lot of money, will allow them to have a better understanding of how hydroponics works. The hands- on experience is worth the cost of the system and they will likely be able to reuse the parts in the system when they decide to build their own. Consumers should do their research and get all of the information they can. Hydroponics is a constantly changing industry and the consumer should be prepared to be patient. Building ones own system can be very rewarding or very frustrating. Hydroponic gardening is the wave of the future and is currently being studied in classrooms around the country, horticultural societies, and in government funded research at major universities. It is also fast becoming a popular hobby, as it is fun, exciting, and easy to get involved in.